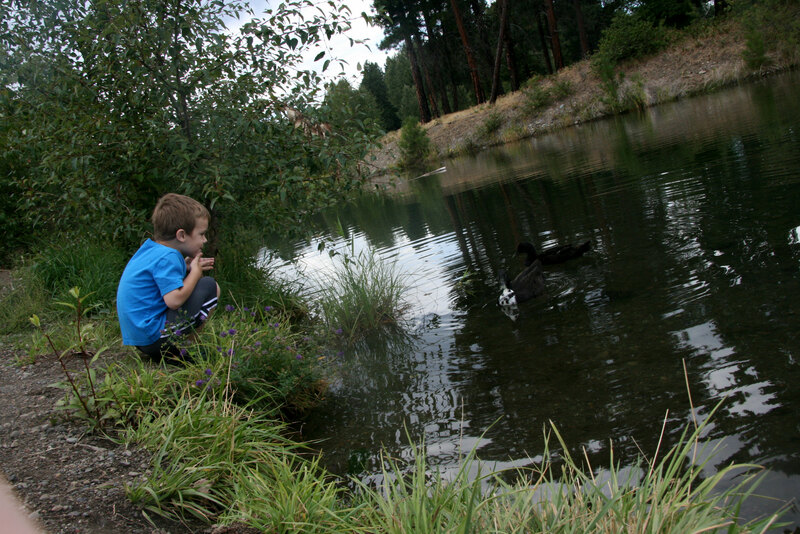 A couple of days ago, we went back up to Cle Elum to fish. 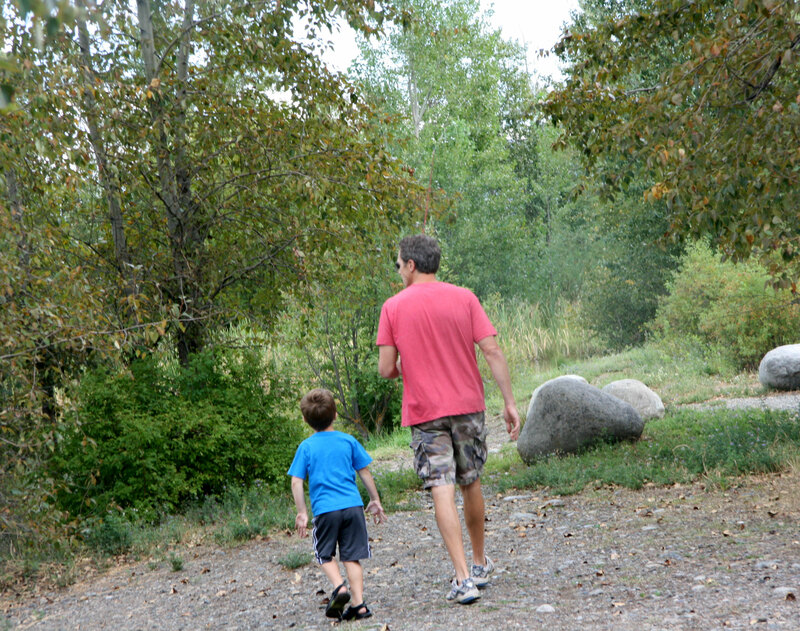 My introductory sentence combined with the above picture makes it seem as though we walked to Cle Elum. That tickles me. There is a Kiwanis lake that runs beside the river up there. That lake is designated for children and the handicapped, so it had really nice access. Unfortunately the fish weren’t biting. 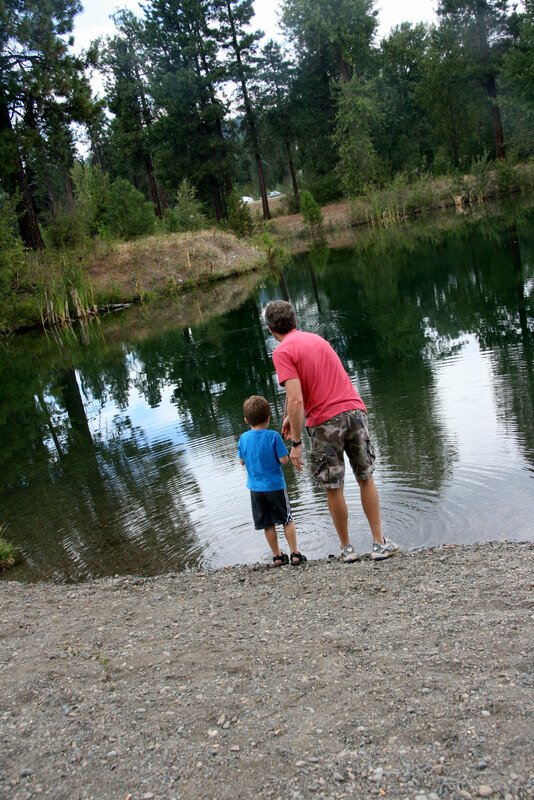 Davey tried fishing for a little while, and David tried out the river which runs parallel to the lake. David did catch a small trout in the river, but that was about it. 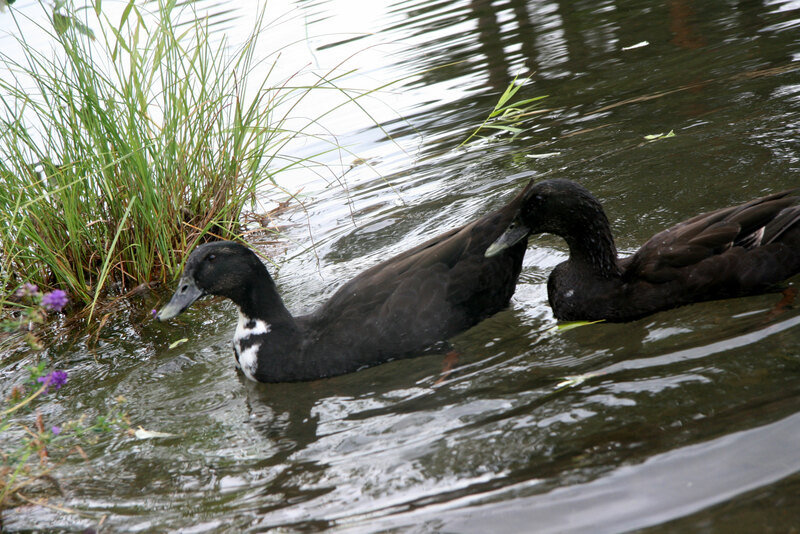 I don’t know what kind of ducks these are. I call them Labrador Retriever mix ducks because of their coloring. They were hilarious though. Davey was absolutely plotting to bring them home with us. He very much enjoyed talking to them. 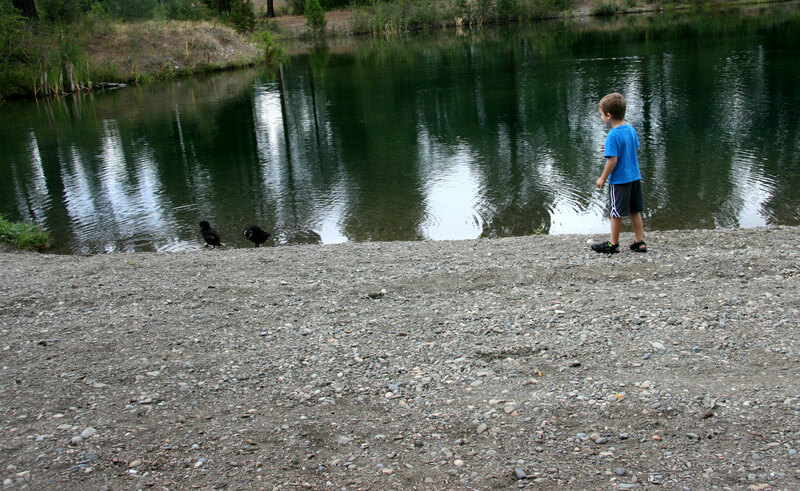 He ran back and forth from the ducks to me because I was translating what they were saying to him. 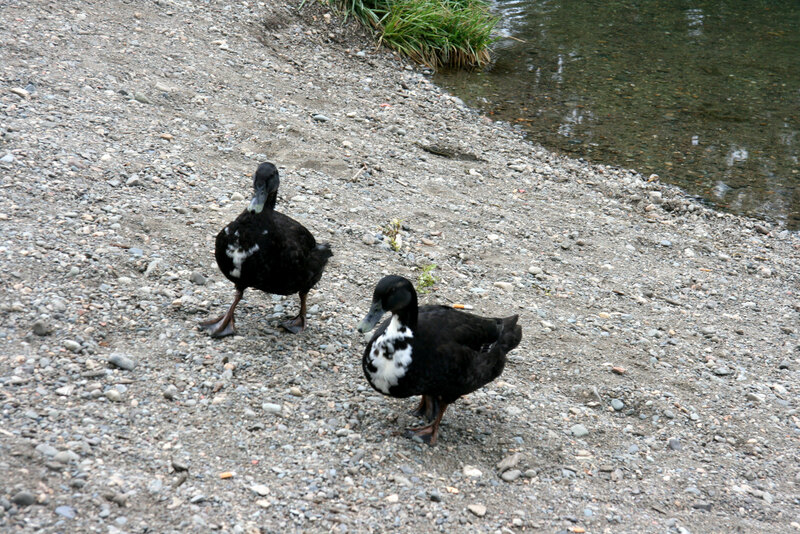 The ducks were funny too because they followed us everywhere. It was when they followed us back to the truck that Davey really decided that they wanted to live with us. 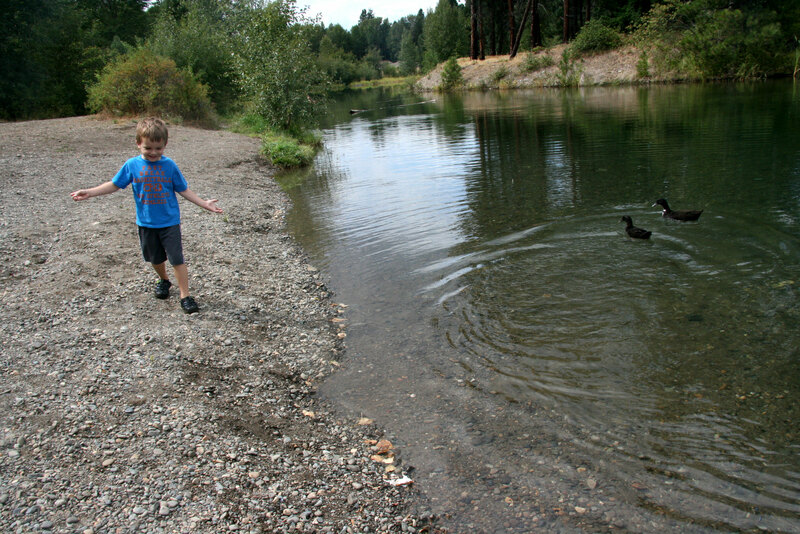 We had to say good bye with promises that we would return (I think the ducks were saying “bring food next time guys!”).